50 Cent is laughing to the bank literally. The rap Icon has made the transition to the big screen real good. With the massive success of his hit tv Show Power which airs on Starz a lot of doors have been opening up. 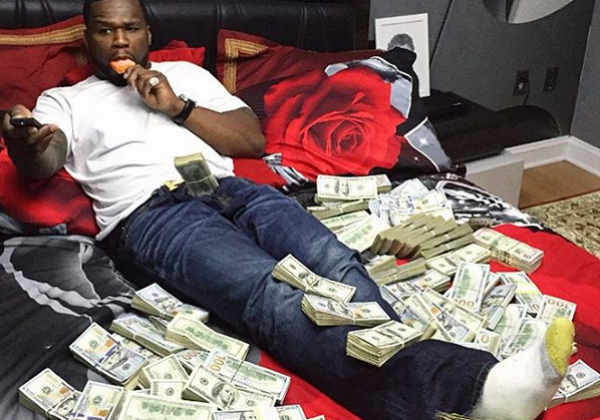 50 Cent is the Executive producer of Power so it only makes sense that networks throw money at him. Rather than lose 50 Cent Starz ante’d up and payed him big time. Starz gave 50 Cent over $75 Million dollars we are hearing for him to produce “Black Family Mafia”, “Tomorrow, Today” and a third soon to be announced TV show. 50 Cent Posted Images Implying Diddy & Rick Ross Are Gay!